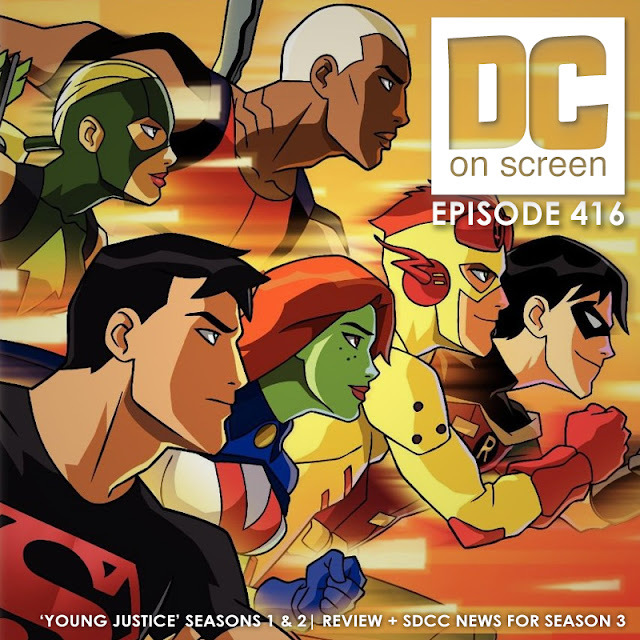 SPOILERS/NSFW - DC on SCREEN #416 - Dave and Jason review and discuss Young Justice Season 1 and Young Justice: Invasion (Season 2). They also give SDCC updates for Young Justice: Outsiders (Season 3). Expect us to forget vital information, compare characters with previous versions (for better or worse), forget non-vital information, disagree about the vitality of that information and lightly argue about what was and wasn't well-executed.